At a time when higher education can appear bogged down by legacy, the University of California System's newest addition is far less restricted. The University of California, Merced this summer wrapped up phase one of a $1.3 billion project to roughly double the size of its campus and make room for as many as 10,000 students. It is doing so using an innovative public-private partnership (P3) model that is among the largest of its kind in higher ed. And of all the UC System campuses, it has been the most effective at reaching and enrolling Latinos, who have become the largest ethnic group in California. In an article detailing UC Merced's rise, The New York Times notes the campus and the system are at a critical juncture: "The future of the state depends on whether the University of California can grow to be more like Merced, and the future of Merced depends on whether it can grow to be more like other campuses." It plans to double its footprint by 2020 via a $1.3 billion project that includes $600 million from the University of California System and $590 million from a private partner. Of UC colleges, it has the largest share of low-income, first-generation and underrepresented students. More than half of undergraduates are Hispanic. It is expanding access to higher education in California and is expected to help the rest of the UC System better reflect the state's demographics. Located in the San Joaquin Valley a few hours' drive from San Francisco and the state capitol in Sacramento, UC Merced formally opened in 2005 with the goal of improving access to the state's public university system — almost a decade into a ban on affirmative action that notably hampered diversity among campuses in the system. "Many of these students were not gaining access as they should be to research universities," UC Merced Chancellor Dorothy Leland said. "We were built there to create that access. They came, they loved it and they went back to their communities. So there was a lot of word of mouth." By a wide margin, it is the smallest of the nine institutions in the system that offer both undergraduate and graduate instruction. It is also in one of the poorest areas of the state, where residents have long had low levels of educational attainment and lacked access to a research university. Many of its students are the first in their families to attend college. And its admission rate is higher and its incoming students' test scores lower than at other UC campuses. Yet those seeming shortcomings in the ultra-competitive world of higher education admissions have proven to be competitive advantages, Leland said. Being new means students can see themselves as pioneers and innovators, and the small size fosters community. Raising a campus from the ground up in the 21st century also has let sustainability factor heavily into construction, with all campus buildings currently or expected to be LEED certified. And the college has been able to focus on undergraduate research from the start. In 2016, Merced attained the status of a "doctoral-granting university with higher research activity," the second-highest ranking from the Carnegie Classification of Institutions of Higher Education. "When you build a new university from the ground up, you literally build everything," Leland said. "You build your traditions, you build your student organizations, you build your student volunteer connections to the communities. Many students who come here get to be the founders of traditions or organizations that will persist far beyond them." Leland took the helm at Merced in 2011 with the task of ushering the college into the next phase of growth. While the recession's anemic recovery made that a challenge, it didn't change the need. "We were simply space-starved," she said. "Our students were sitting in hallways studying because there was no other place to go." Beyond classrooms, the college needed facilities such as research labs, dorms, sports fields and dining halls as well as roads and other infrastructure to support current and future students. And it needed to do so affordably. As part of the deal, the private developer will maintain the buildings over a 39-year period and will be paid in part based on how they perform, Leland said. "In all the unpredictability in the higher education environment, particularly in the public sector, we have a great deal of predictability around the long-term maintenance of what will be half of our campus," she said. The expansion is laying the groundwork for future growth in Merced, which Leland and others expect will lead to change throughout the state. "You see across the UC System a growing recognition that the demographic future of California cannot just be represented on one or two or three of its campuses," she said. "It has to be spread across all of the campuses, from the oldest to the youngest." 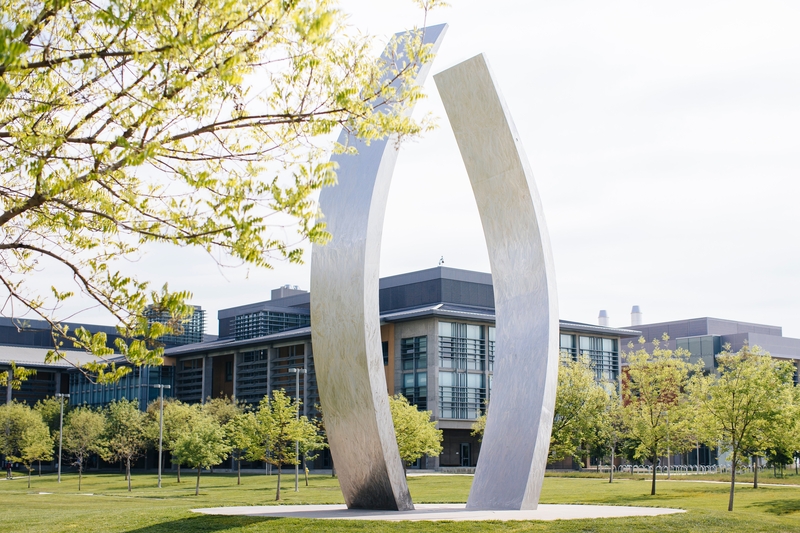 Source: Published originally on Educatiodive.com, University of the Year: The University of California, Merced, by Hallie Busta, December 3rd, 2018.